Forty-one species of marine mollusks are added to the checklist for Saba island. The majority of records are from Rüdiger Bieler, who observed and identified species in 2010 as empty shells, via SCUBA. 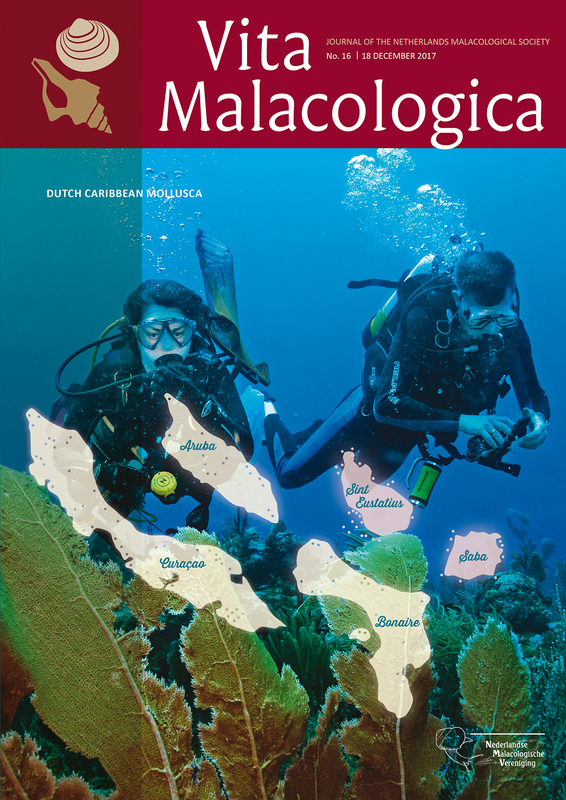 A review is given of the terrestrial malacofauna of Aruba, Bonaire, and Curaçao in the Dutch Caribbean. The most recent reviews of these islands were given in 1924 by Baker and in 1940 by Wagenaar Hummelinck. Wagenaar Hummelinck accepted fewer species and subspecies than Baker, without giving any arguments. Baker did give a detailed account making it possible to recognize his taxa in the field. Genetic research by Harasewych in 2015 supported Baker’s views with regard to the genus Cerion. Figures are provided for most taxa so each can be identified. Helicina dysoni L. Pfeiffer, 1849, Leptinaria lamellata (Potiez & Michaud, 1835), and Polygyra cereolus (Megerle von Mühlfeldt, 1816) are reported here for the first time, Guppya molengraaffi Baker, 1924 has been rediscovered. A baseline record of the marine fauna of St. Eustatius, Caribbean Netherlands, was established during the Statia Marine Biodiversity Expedition in June 2015, which was a 3-week, 20-person survey of the waters surrounding that island. The present report lists a total of 366 species of marine molluscs in six classes; 207 are new records for the island, including several rarities. Range extensions of over 1,000 and 2,000 km respectively are reported for Doriprismatica sedna (Ev. Markus & Er. Markus, 1967) and Melibe arianeae Espinoza, DuPont & Valdés, 2013. Other species are new records for the Eastern Caribbean ecoregion. The recently described species Parvilucina latens J. D. Taylor & Glover, 2016, previously only known from Guadeloupe, is reported from St. Eustatius. Specimens identified as Eulithidium sp., Parvioris sp., and Petallifera sp., may belong to as yet undescribed species.